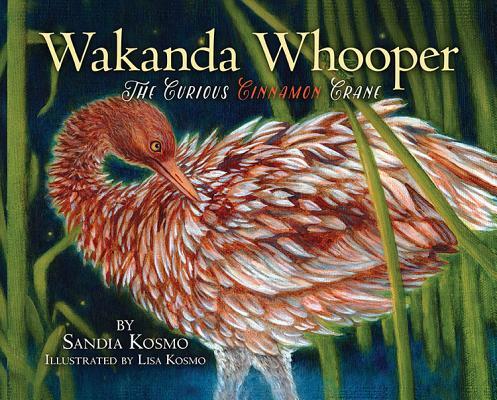 Here is a magnificently illustrated story of one whooping crane, Wakanda, who, through her curiosity and questions to her parents, shares the story of an incredible species being saved by caring biologists. This delightful, educational children's chapter book takes place in central Wisconsin's Necedah National Wildlife Refuge, the starting place of the new eastern flyway to southern wildlife refuges in Florida. Whooping cranes, the tallest birds in North America, came so near extinction thatWakanda Whooperoffers an incredible story of survival. With seventeen cranes left in the wild by the 1940s, humans finally came to their rescue in 2001 at the eleventh hour. The effort continues to this day. Included in this 72-page book are many full-page illustrations, multiple hands-on activities, a glossary, and crane trivia pages. Through this story, the author hopes young people will be inspired to care for and help save our environment with its beautiful and varied species.